DECA is a recurring club at Hobart High School, yet, not a lot of the student body is aware of what exactly this club entails. It is spoken about and explained in Mrs. Roach and Mr. Lewis’s classes, but not everyone has them. Mrs. Kari Roach sponsors the club. It is open to students of all grades. 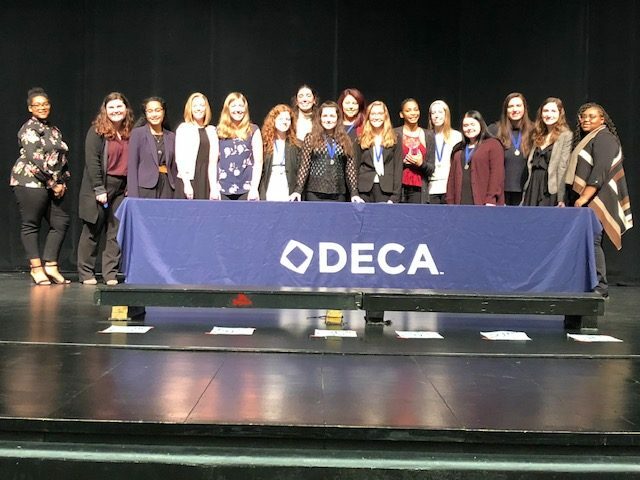 DECA Inc. is a 501(c)(3) not-for-profit student organization with more than 215,000 members in all 50 United States, the District of Columbia, Canada, China, Germany, Guam, Mexico, Puerto Rico, and Spain. It involves the practices of business, sales, and advertising. DECA is organized into two unique student divisions each with programs designed to address the learning styles, interest and focus of its members; high school and college. The High School Division includes 200,000 members in 3,500 schools. The Collegiate Division includes over 15,000 members in 275 colleges and universities. Members of the Hobart High School club participate in competitions involving writing essays, creating advertisement presentations, and taking tests. They are aligned with the National Curriculum Standards in the career clusters of marketing, business management and administration, finance, and hospitality and tourism. Several volunteer opportunities are also available in DECA. The club values competence, innovation, integrity, and teamwork. The 2018-2019 school year co-presidents of DECA are Lillian Kollross and Faith Spencer. Meetings are before school on Friday at 7:20 a.m. If you have any questions or would like to join, speak with Mrs. Roach or either vice president for information. 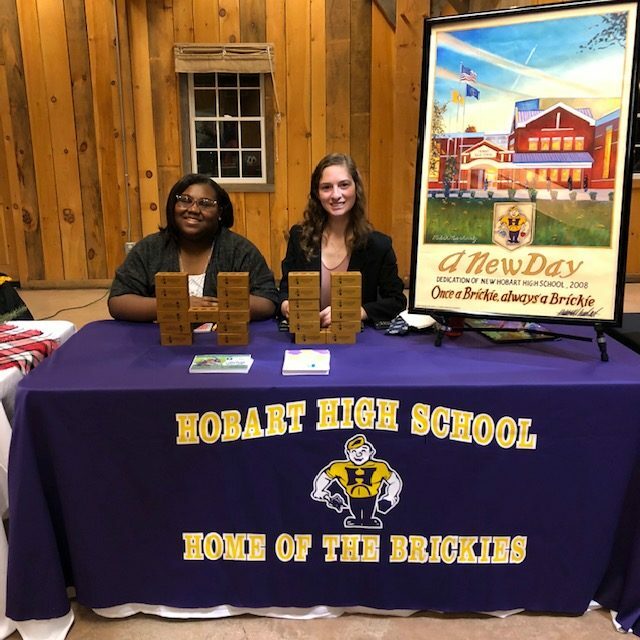 Faith Spencer and Jenna Uhles represent SCOH DECA at the Hobart Business Expo. 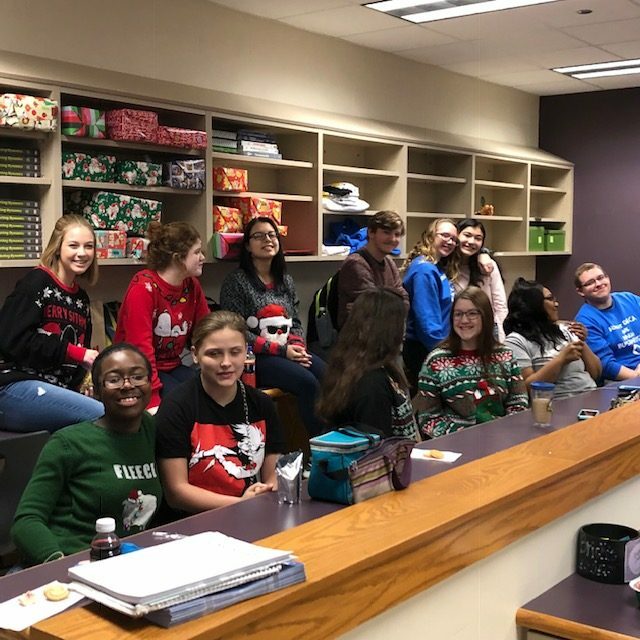 DECA members hang out at their annual Christmas party. The Hobart DECA students pose at their district competition.